While pets are a wonderful addition to the family, their presence in your home can also take a toll on your carpeting and upholstery. With the holiday season in full swing, quality upholstery cleaning can make a big difference in ensuring your guests are comfortable and that your home looks its best. Read on for a few key reasons to clean your upholstery if you live in a pet-friendly home. Perhaps the biggest reason to invest in upholstery cleaning is cost. It will always cost you less to clean your couches and upholstered chairs than if you were to replace them every few years due to pet messes. Many pet stains are easily treatable with the help of professional services. By choosing regular upholstery cleaning over unnecessary furniture replacement, you’re also being more kind to the environment. Investing in what you have means less furniture and old carpet piling up in landfills. 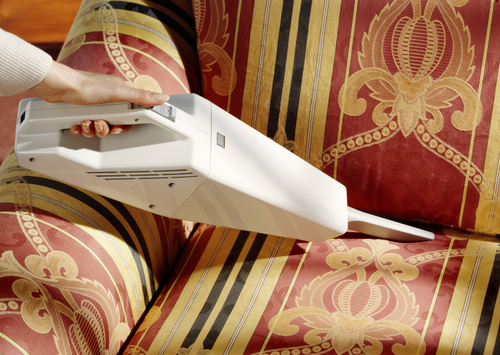 Upholstery cleaning also improves the health of your family by removing harmful particles that build up in the fabric. Deep-cleaning treatments get rid of the dust, germs and pet dander that have settled into your furniture’s upholstery over time. Many professional upholstery cleaners even offer allergen treatments to help your family and holiday guests breathe easier. Lastly, quality upholstery cleaning extends the life of furniture by keeping it looking great for years to come. Pet-induced stains can be challenging to treat, so bringing in a professional ensures they are handled correctly the first time. If you need carpet or upholstery cleaning, New York's premier cleaning company, Mr. K's Carpet Service, is here to help. Voted “Carpet Cleaner of the Year” by the Times Herald Record, this family-owned and -operated company has been providing professional services for over 35 years. To book an appointment with these professional carpet cleaners, give them a call today at (845) 294-5345 or visit them online. Please book early for the holiday season! Why Leave the Carpet Cleaning to Professionals?